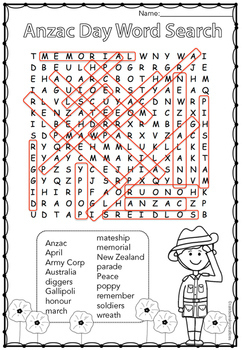 Free Download of our ANZAC Day Word Search. 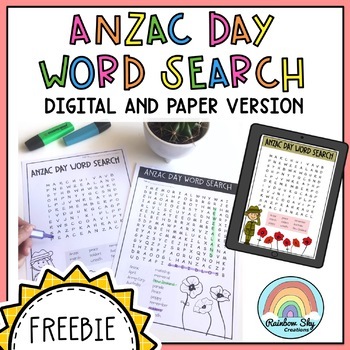 Includes 17 words to find relating to ANZAC Day. Suitable for Years 3 - 6. 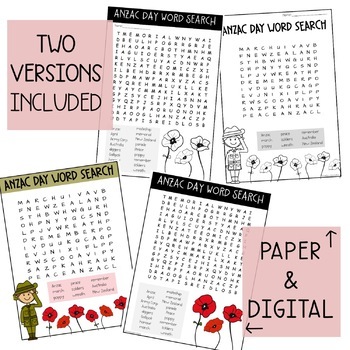 You may also be interested in our complete ANZAC DAY packs! Creations and therefore remain the property of Rainbow SkyCreations. Follow us on Facebook or Instagramor Pinterestfor more teaching resources and inspiration!